If people back home know of One Devonshire Gardens it’s likely because many years ago footballer-turned-chef Gordon Ramsay made his name in the kitchen of the hotel’s restaurant. Today, however, it’s the flagship property of Hotel du Vin, a small UK chain of boutique hotels distinguished by their architectural significance – and as the brand name implies, well-stocked wine cellars. One Devonshire occupies a row of five Victorian townhouses in Glasgow’s stylish West End, retaining all of the original features including dramatic stained glass windows, ornate corniced ceilings, wood panelling and sweeping staircases. 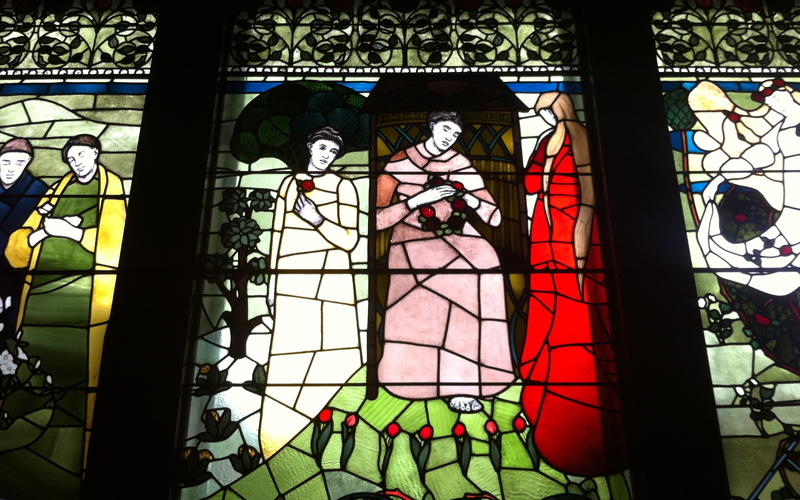 William Burrell – owner of one of the most famous private collections of art in the world, The Burrell Collection, lived in House 4 in the 1890’s and commissioned the stained glass window above. Within walking distance of the Botanic Gardens and the famous Kelvingrove and Hunterian Museums, I couldn’t think of a more genteel pit stop before beginning a week of arduous hill walking in the Hebrides.